In the 1950s, Harper Lee presented a manuscript to a man she hoped would become her editor. It told the story of Jean Louise “Scout” Finch and her views on racial issues in her hometown in fictional Maycomb, AL. The tale also explored her interactions with the father she idolized. While this may sound familiar, it actually was not a manuscript of To Kill a Mockingbird, published in 1960. That came after the editor read the manuscript Lee had written and found he most enjoyed Scout’s flashbacks to her childhood. He suggested Lee write a book set in that time period instead, and Lee took his advice. “I was a first-time writer, so I did as I was told,” Lee said in a statement about the manuscript. The first manuscript she presented, Go Set a Watchman, was then shuffled about in Lee’s writing of the new story. Lee eventually came to think the book had been lost or destroyed. She learned she had actually placed it in her archives when her lawyer Tonja Carter discovered it. When presented with the long-lost work, Lee was initially hesitant to have the piece published. However, after being assured by several trusted individuals that the piece stood up, Lee was persuaded to have it published. The story is set twenty years after the events of To Kill a Mockingbird. It is less a sequel to the novel and more a parent to it, according to Lee. It is set in the 1950s and deals with Scout’s relationship to her father, as well as racial relations in the South at the time. Written in the mid 1950s, the book can be expected to reflect Lee’s fresh memories of the time. The manuscript is being published unaltered, with the editors trusting Lee’s judgment. The novel has an anticipated publication of July of this year. Some, including those close to Lee, wonder if the novel will compare to To Kill a Mockingbird, which became a classic in its own time. With To Kill a Mockingbird having come from what the publisher thought were the best parts of Go Set a Watchman, similarities are bound to appear. In either event, the novel has been widely anticipated. The manuscript has been known of for some time, being referenced in several of Lee’s known letters. Scholars thought it was simply an early version of the novel, as opposed to a completely separate story. 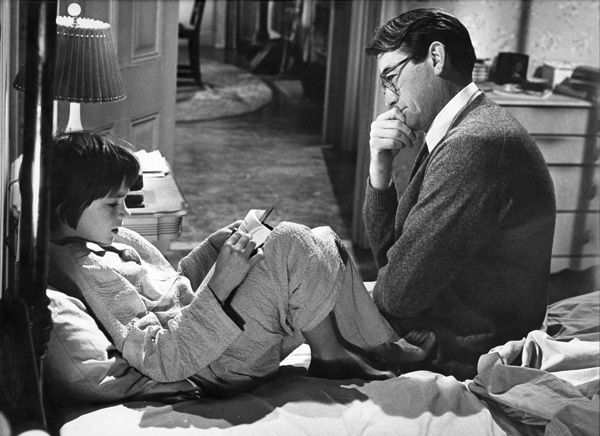 To Kill a Mockingbird has been both a staple of high school reading lists for decades and a famed film thanks to Gregory Peck’s portrayal of Atticus Finch. Go Set a Watchman is certain to make a large splash when it hits shelves in July. Whether it as good as the novel that budded off of it remains to be seen.